Heather Mangieri’s Fueling Young Athletes contains a variety of recipes and healthy smoothies for active children. Here at Human Kinetics, we decided to make the delicious and nutritious Green Smoothie. Add ice or water as required, we used about a cup of water. 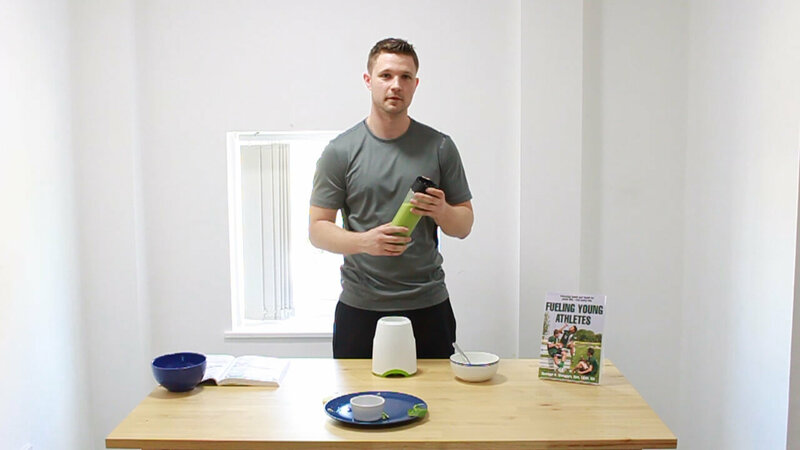 Fueling Young Athletes is to available to buy from humankinetics.com for £14.99 | €18.00. Heather Mangieri, MS, RDN, CSSD, LDN, is an award-winning food and nutrition expert, registered dietitian, and board-certified specialist in sport dietetics. She is the founder of Nutrition CheckUp, a nutrition consulting practice with expertise in sport nutrition, weight management, and disordered eating. She consults with a variety of clients, including casual exercisers, competitive athletes, and families looking to eat well while navigating busy schedules. She specialises in helping active adolescents eat well for proper growth, development, and sport performance. In 2008 Mangieri was recognised as Pennsylvania’s Young Dietitian of the Year. In 2012 she received the Keystone award in recognition of her leadership in demonstrating outstanding professional standards to serve and advance the aim of Pennsylvania dietitians. She serves on the executive committee of Sports, Cardiovascular, and Wellness Nutrition (SCAN), a dietary practice group of the Academy of Nutrition and Dietetics.